Learn more about the diseases affecting your loved ones. Find the balance needed to reduce the stress of caregiving. Create a plan that is right for you and your family. The role of caregiver is very important but also very stressful. 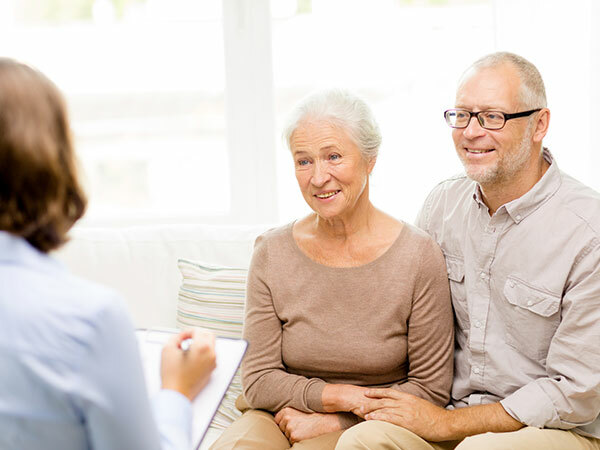 At Age Well Arrowhead, we understand that it can be very difficult to manage the increased needs of an aging parent, spouse, relative, partner or friend. Sometimes you just need someone to talk with who understands the challenges of caregiving. Let our qualified caregiver counselors provide you the caregiver support you need to continue to care for your loved one and care for yourself. We will assist you in making decisions and problem solving related to caregiving. This includes individual or family counseling, support groups, and caregiver training and education. to stay in my home. Thank you. The commitment of the volunteers is breathtaking. Groceries to Go is the reason there is food on my table every night. It is hard to ask for help sometimes, but I am so happy I did. Age Well is not just for seniors. It is for the caregivers and the support needed. Karina is amazing at her job. REACH is an evidence based caregiver consultation service focused on those who care for someone with Alzheimer’s disease or a related dementia. The goal of REACH is to help caregivers manage behavioral concerns, reduce caregiver burden and improve or sustain caregiver physical and emotional health. REACH is delivered over a two to three month time period including four core consulting sessions with the caregiver either face to face or by telephone. We understand there are times when the caregiver role can be especially difficult. REACH is an evidence based program meaning caregivers who participated in the program report a high success in the caregiver role as well as increased health and well being. If you feel overwhelmed and are looking for ways to reduce stress, this program would be of great benefit to you especially if the person you are caring for has Alzheimer’s disease. A family member or someone with a significant personal relationship who provides regular or long-term care of a person with dementia. Simply give us a call at (218) 623-7800 . We will schedule a time meet either in your home, office, or wherever is most convenient for you! The active phase of REACH offers four core sessions with the caregiver. Each will address strategies targeted to the caregiver’s situation based on the Caregiver Risk Assessment. Additional sessions may be provided based on caregiver need or desire. Closure of the active phase of REACH involves a discharge plan and encouragement of the use of available formal and informal services and caregiver materials. I am a caregiver, and I need help. Contact Age Well Arrowhead through the button to the right or by calling (218) 623-7800 .